Modern fan design and rough silver plated metal make Lydia ring a laconic and trendy accessory. 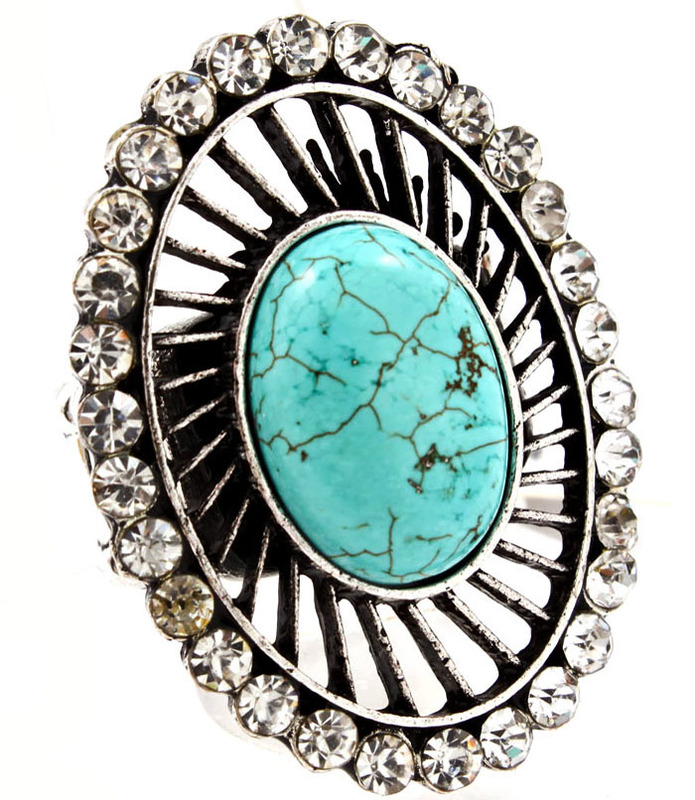 The ring features an oval shape with a row of clear crystal studs along the edge and a smooth oval turquoise stone in the center. Our turquoise rings are of the highest quality and come with a hassle free exchange policy.